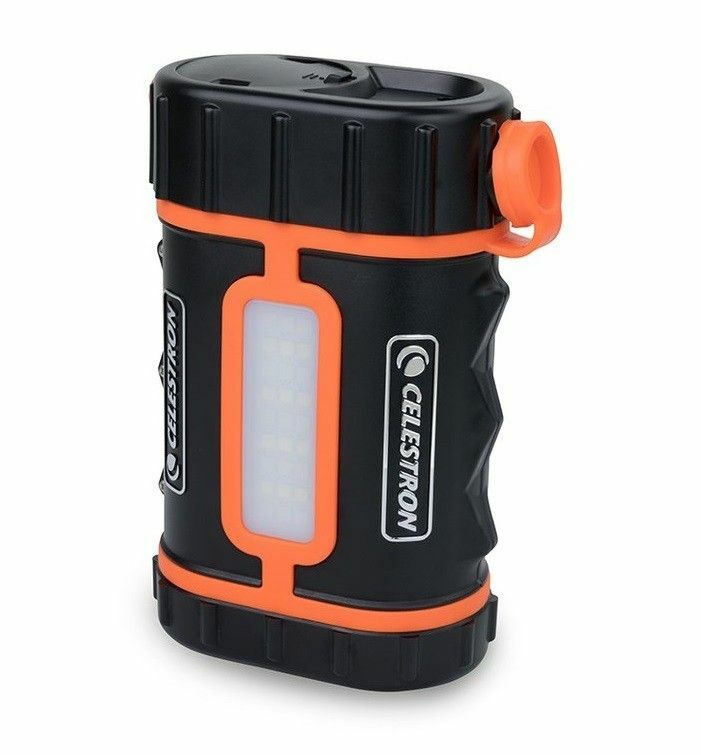 The Celestron PowerTank Lithium Pro is the PowerTank for the true power user. This higher capacity unit is the latest version of the bestselling PowerTank Lithium. The Celestron PowerTank Lithium Pro offers twice the battery capacity of the original, making it ideal for more demanding applications. PowerTank Lithium Pro features the right ports and connections to accommodate a variety of devices. 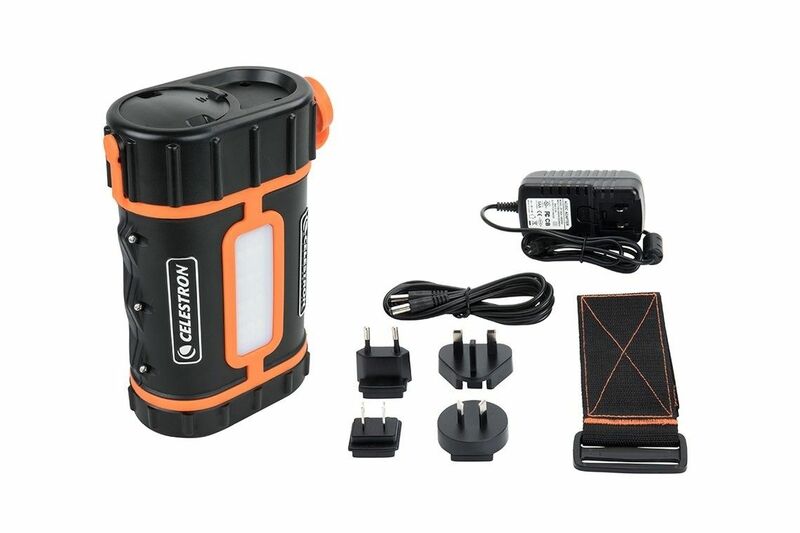 There is a 12V DC 5A telescope power port (Celestron cable included), a 12V DC 10A car battery adapter port, and two 5V DC USB ports - one 2.1 A and one that supports rapid charging. The power pack’s extremely portable form factor means it can go anywhere from a remote dark sky location for astroimaging to a weekend of camping. When it’s powering your telescope, use the included 2" straps to secure the unit to your tripod leg where it is out of the way. The PowerTank Lithium Pro can also travel with you on your next vacation. At 158.74 Wh, it meets current FAA regulations (160Wh) for transportation in your carry-on baggage. Please check in advance with your airline to verify they do not have stricter policies. 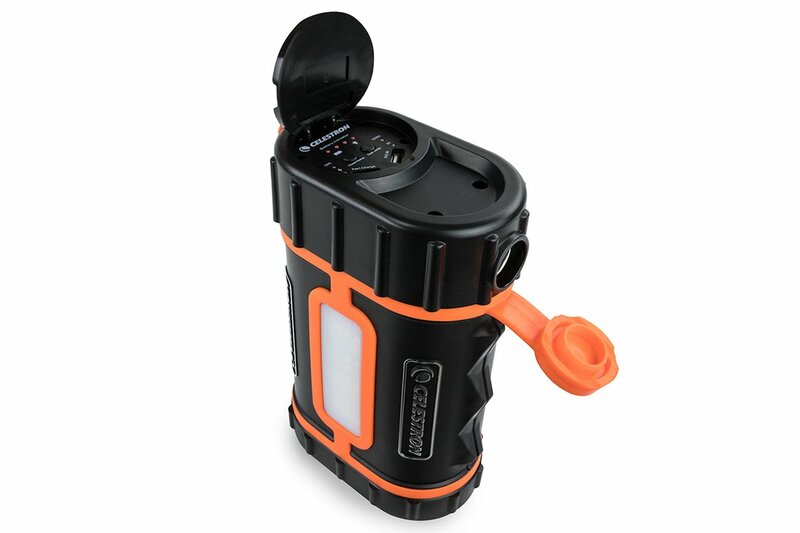 Powered by Celestron's Lithium Iron Phosphate (LiFePO4) battery, the PowerTank Lithium Pro is smaller, lighter, and safer than sealed lead acid batteries. The technology is also more environmentally-friendly since it does not use toxic heavy metals.